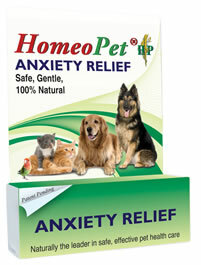 Homeopathic remedy for relief of general anxiety in pets. Vet/grooming visits, kenneling and shows. 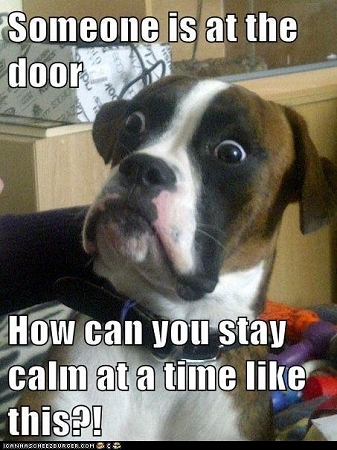 Separation from familiar surroundings, introduction of new pets and most stressful situations causing barking, whining, crying, hiding, shaking and feather plucking in birds. 15 ml. Ingredients: Aconitum nap 10x, 200c, 1M, Arg nit, Arsenicum alb, Gelsemium 6c, 30c, 200c, Avena, Passiflora, Scutellaria, Valeriana 4x, 7x, Calc phos, Causticum, Hyscyamus Nat carb, Silica terra 30c, 200c, Ignatia Phos 6c,30c 200c, 1M, Lycopodium, Staphysag 6c, 30c, Pulsatilla nutt 30c, 200c, 1M, Stramonium 200c in 20 USP alc. in purified water.